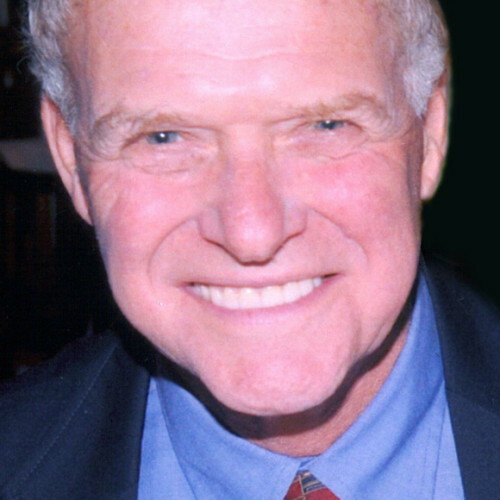 Lawrence Brooks, DDS is a 1967 graduate of the NYU College of Dentistry, completed his residency at Mount Sinai of New York in 1968 and then served for two years as a Lieutenant in the US Naval Reserve (1968-70) as the Base Dentist for the Armed Forces Staff College in Norfolk, VA. Following the Navy, he opened a solo practice in Manchester, NH from 1970-1976 and then relocated to Netanya, Israel with his family where he established himself in private practice and was a member of the prosthetics faculty at the University of Tel Aviv Dental School. Both of his practices were of the low-volume, high-profit fee-for-service types. In Netanya, he becoming frustrated with the difficulties finding consistent lab results, he setup his own in-office lab and eventually trained technicians for the local technical college as well as supplying the needs of his practice. Upon returning to the Boston area in 1983, Dr. Brooks felt there was an opportunity for a dentist with his training to break new ground in laboratory technology so he established Professional Laboratory Service (renamed Smile-Vision in 2000). The lab focused on cosmetic procedures and the bonded porcelain that was just emerging at that time. Dr. Brooks retired his dental license and, is no longer in active dental practice. Instead works full-time as CEO of Smile-Vision (www.smilevision.com) and COO at Big Case Marketing (www.bigcasemarketing.com). Over the years, Dr. Brooks has presented to over 150 dental groups both large and small. He as spoken to large groups at the California Dental Society Convention, The Yankee Dental Congress and the AACD annual meeting, just to mention a few. Dr. Brooks has had practice management articles published in Dentistry Today, Dental Products Report, Dental Economics and Contemporary Esthetics. Dr. Brooks and Smile-Vision were featured as Lab Management Today’s Lab of the Month. Dr. Brooks is also well schooled in sales techniques. Besides attending the “School of Hard Knocks,” while marketing Smile-Vision, he has logged over 350 hours of attendance at power-packed sales seminars and meetings. Some meetings, like the Big Case Marketing Seminars and Maximum Case Acceptance with Dr. James McAnally, Dr. Bill Blatchford’s Blatchford Solutions programs and Professional Business Services meetings, have been focused on the dental market. Others, like those given by Joe Polish and Dan Kennedy, focused on advanced general sales techniques. Dr. Brooks has a passion for selling and wants to share his experience and knowledge with his clients and friends. Coupling his dental and sales experience and training, Dr. Brooks has perfected methods for increasing sales while improving predictability and patient satisfaction. Over the past 25 years Dr. Brooks has partnered with over 2,400 dentists in 41 states as a consultant, helping Smile-Vision clients to improve their practices by doing more large-case dentistry. “I was a practicing dentist for years, and I know how frustrating it can be to work with suppliers and labs that “just don’t get it.” I pride myself on how Smile-Vision isn’t just “a lab,” but a true partner in the practices of top dentists across the country. You may be on the lookout for the best lab, and I’m no different: I’m on the lookout for the best dentists with whom to form a partnership”. Dr. Brooks is the creator of cosmetic imaging as a service, the Template Technique™ and the OvertempTechnique&trade;, which have helped simplify major dentistry for hundreds of dentists worldwide. In addition to his responsibilities at Smile-Vision Dr. Brooks teamed up with Dr. James McAnally, CEO and founder of Big Case Marketing to take on the role of COO helping to turn James’ marketing genius into marketable products to enhance their dental practice success.